Published by Mountainblog on 04/13/2018 . La Sportiva, world leader in the production of footwear and technical clothing for mountaineering, celebrates its ninetieth birthday this year: ninety years have passed since the company was founded in 1928 by shoemaker Narciso Delladio di Tesero (Valle di Fiemme, Trentino), almost a century of history that has seen the small workshop called “La Calzoleria Sportiva”, constantly grow and evolve to become the global brand that it is today, world leader in the outdoor sector, especially in the niche markets of climbing, ski mountaineering, trail running and high altitude mountaineering through the production of technical footwear and clothing designed and developed in the mountains of Trentino. Four generations of the Delladio Family, represented today by CEO Lorenzo Delladio and his daughter Giulia, who have continued the family business leading it to today’s success: over three hundred employees, a growing turnover that will exceed one hundred million euro in 2018 and a new production plant of 15.000 cubic metres that will be inaugurated by then end of the year that will soon lead to the potential doubling of the production of shoes for climbing and high altitude mountaineering. A time of celebration therefore involving the whole “laspo community” through instagram and user generated contents, the contents generated directly by the users. 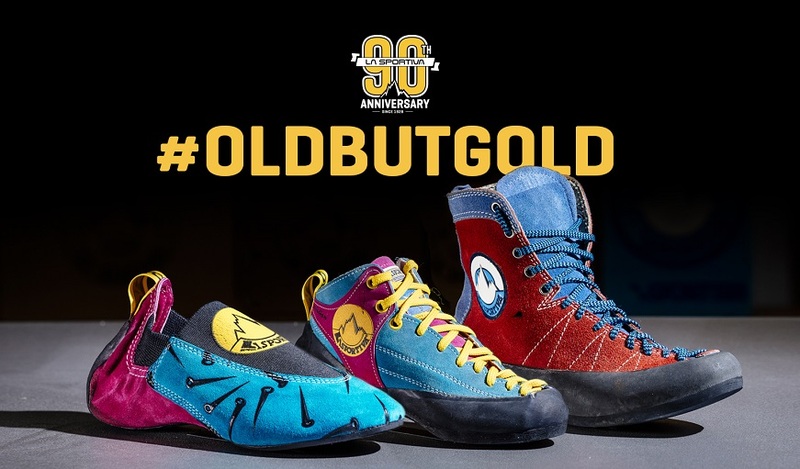 From April to June La Sportiva launches the photo contest that invites users to share photos of their La Sportiva vintage products on Instagram using the hashtag #OldButGold. Dust off the old products, those you have stored in the attic or in the garage, take a picture, maybe returning to enjoy the pleasure of wearing them outdoors and post your shot on Instagram using the hashtags#lasportiva and #oldbutgold: up for grabs a special anniversary t-shirt celebrating 90 years of La Sportiva, the precious 90th anniversary book, a pair of Katana and a pair of Trango Tower GTX. And above all, each photo will enrich the great photographic history of La Sportiva on the instagram pages and on the official company website. The competition is valid form April to June 2018: be part of our history! La Sportiva was born in 1928 when Narciso Delladio hand-crafted wooden leather boots for many lumber-jacks and farmers of the Fassa and Fiemme valleys (Dolomites, Italy). After the war, the demand for boots increased obliging Narciso to hire new workers: the good name of "Calzoleria Sportiva" crossed the boarders of the valleys and with the second generation represented by Francesco Delladio, started to become a worldwide known brand. Starting from here the La Sportiva’s history continued to grow. 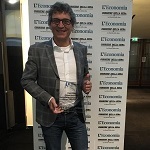 Now the firm produces in Fiemme Valley boots and shoes for all kind of outdoor activities from climbing and mountain, categories in which La Sportiva has the market leadership, to mountain running, hiking and the skimountaineerging market. Recently the company entered in the skimountaineering segment and in the apparel market too with a complete selection of technical clothes for running, skimountaineering and climbing. 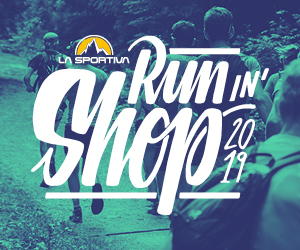 La Sportiva who produces mainly in his headquarter at Ziano di Fiemme, is distributed in more then 70 countries worldwide. La Sportiva: best communication 2018. Total look La Sportiva for Federica Mingolla. The climber will wear the colours of the Italian brand for her new mountaineering projects.